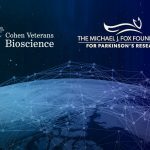 The BRAIN Commons Non-Profit Membership Program is intended to provide an opportunity for external organizations to leverage the infrastructure investments made by Cohen Veterans Bioscience and the Open Commons Consortium and maximize cost-effectiveness for maintenance costs through shared financial support. Become part of a public-private partnership that will enable and stimulate brain-related data sharing and analysis. 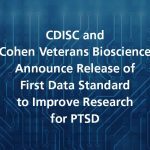 Benefit from extensive due diligence and substantial investments from Cohen Veterans Bioscience, the Open Commons Consortium and University of Chicago. Receive updates on BRAIN Commons development activities through regular status reports and biannual Partner Advisory Committee face-to-face meetings. Join an established initiative without having to incur the transaction costs needed to create a new consortium. Become part of a growing community, with new data and analytics tools coming online continuously. Have the ability to conduct cross-brain disease analysis by seamlessly integrating data with other BRAIN Commons datasets. Be recognized on the BRAIN Commons website, electronic and printed materials, and select press communications (where appropriate). For more information on becoming a member or for other Partnership or Sponsorship opportunities, please contact us.